Follow the steps below to get reset and the process to restore Epson Stylus NX100 / NX105 printing pads. The passage of time Epson printers are mostly blocked, preventing printing on the computer and presenting the message "End of Life pads printing, you must contact Epson support". The contact for customer service and request Epson solve this problem, can cost more than buying new printer again. That is why the manufacturer of the printer, on page recommends that when this error replace the printer by another, which is not the most convenient if you have a completely free solution. 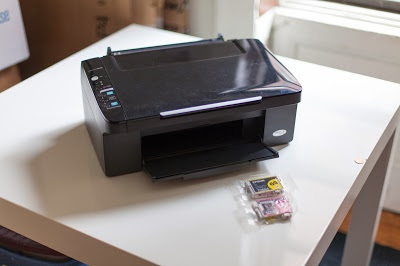 If you want to eliminate the error of pads filled, you must first know what the serial printer, as you will need to ask them to send the software to your computer, you must have a valid email address where the link is sent to download the software. Follow the steps in the above link for downloading the software to help with the restoration, do not run until you read the steps below, it may be damaging for printers if you do wrong. The printer must be presented at the computer screen "empty print pads, visit Epson customer support" is when we have to run the program and the procedure shown below. Restoring or resetting the pads will not make the work better print quality, less will return the ink levels up, which is why any error is recommended to write a comment.